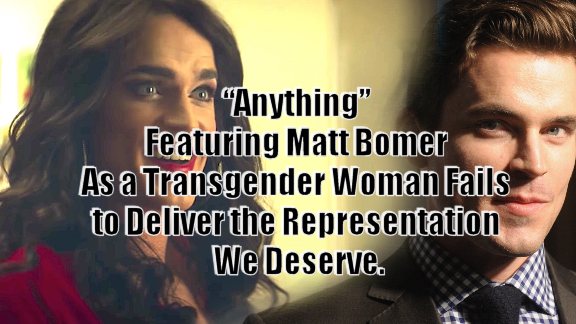 “Anything” Featuring Matt Bomer As a Transgender Woman Fails to Deliver the Representation We Deserve. Most of my reader know that I am staunchly against Cisgender actors playing Transgender roles in television and film productions. More often than not, it comes off as mockery; An actor dons a costume and parades around as a woman who has lived the Trans experiences. Most of the time, he gets showered with awards for it, and I expect Matt Bomer’s performance in “Anything” will fetch the same results come awards season. Why? Because a Cis actor putting on Trans skin and pretending to be us is considered brave, daring and groundbreaking. But it isn’t. Anyone can put on lipstick and a dress, in fact, most men have at one point in their lives just for Halloween. The problem with Hollywood doing it over and over again (Jared Leto, Hillary Swank, Eddie Redmayne, Dakota Fanning) is that it never delivers the portrayal from an authentic emotional or psychological perspective. It’s reductive, and the Hollywood machine is so busy patting these “courageous” actors on the backs that they never see it. While the concept of “Anything” is compelling, one cannot watch without seeing Matt Bomer playing a Transwoman, which completely breaks the immersion. Clearly, Bomer has not had any access to the lives of Trans women, thus, he is forced to make it up as he goes along, trying to play a character rather than portray a figure who life experiences has shaped them as a Transgender individual. Beyond that, seeing a cis Man, like Bomer, who can wipe off the makeup, go home to his family and leave it all behind because being Trans for 6 months was just his job is an insult to the actual brave men and women who walk out of their house into the hellish streets of prejudice and judgement every single day. They do not have the privilege of taking off their identity and resuming a “normal” life. An actors job is to pull from something they know… an emotion or an experience they are intimate with, some comparable to manifest a relationship with the character they are portraying so they can do it convincingly and with dignity. You revisit uncomfortable events in your life to bring a real response to the surface of your performance. Bomer lacks that, as did Redmayne, Leto, Felicity Huffman in TransAmerica, and Hillary swank. None of these actors had ever faced the very real, incredibly damaging struggle of dealing with and accepting a gender identity that departs from social acceptability. With respect to that, it inevitably falls into a sort of circus performance, where they’re the proverbial clown, drawing emotions on their face instead of feeling them- or making their audience feel them. 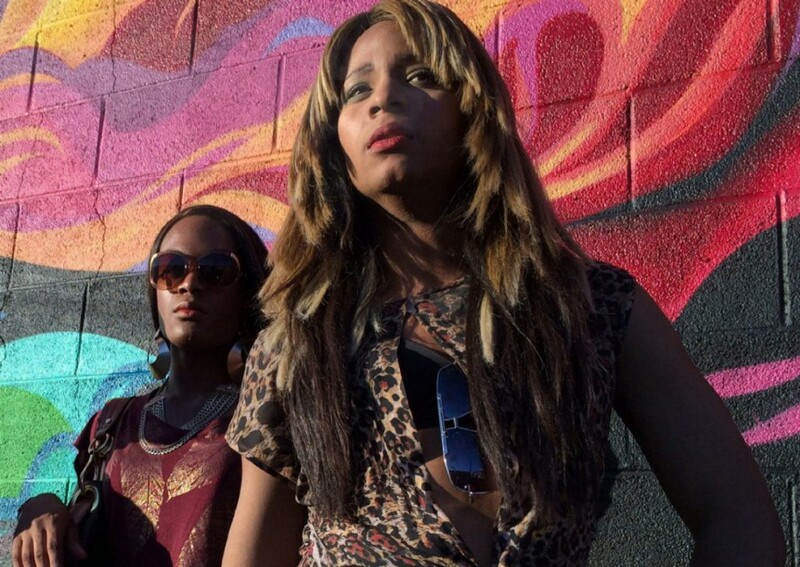 The film by Sean Baker, 2015’s critical darling, Tangerine, was an enormous success because it starred two transgender women actually playing transgender characters. They had an entire history of substantial experiences to pull from in order to give a sense of realism that cannot be achieved by a cis actor portraying a Trans woman. Why do we accept this as normal. Why is it so outlandish to consider casting an actual Transgender woman to play a character she is made to play. Isn’t that exactly what casting directors actively seek when filling roles in major films? Someone who bring a specific realism to the performance without it being denigrated to pantomime. Did anyone ask Bomer if he’s ever been called a “Tra**y?” or if he’d ever been beaten up, verbally attacked, laughed at on the bus, harassed at school or work for being a Trans woman? No. Because it’s never happened to him. He may be a fine actor, but casting him in this role when there is an entire menagerie of qualified Transgender actresses who could have given us genuine responses and provoked authentic reactions seems like nothing more than thinly veiled prejudice in itself. I want to cry because I believe it happened; Laugh because I’m happy to see a disenfranchised individual have their burden lifted, even if just for a moment; Champion them because they’ve found love, against the odds, with someone who isn’t fetishising them. I want to feel the character is tangible, not giving me a modern version of blackface. Why is this such a monumental task? What exactly is wrong with casting Trans individuals in roles suited for them instead of seeking out some “It” boy or the latest heartthrob. I must mention that Bomer is, actually, a gay man, which makes his portrayal even worse. That this casting director was willing to overlook hundreds of Trans women and cast a gay man in a female role is not just offensive, but it’s obscene because it demonstrates a willingness to include gay people in their elite fold, but continue the practices of alienating Trans performers. Here’s the thing- Trans women and men both young and old deserve to be accurately represented on-screen. We deserve to have a public presence where we are provided beacons of hope, enlightenment, and we have the right to be given our own screen idols. Glossing over the Trans existences in favor of a makeshift one by proxy of some cis actor is repeated negligence and a deliberate slap in the face to the entire Trans community. We’re asking for representation and visibility in media.